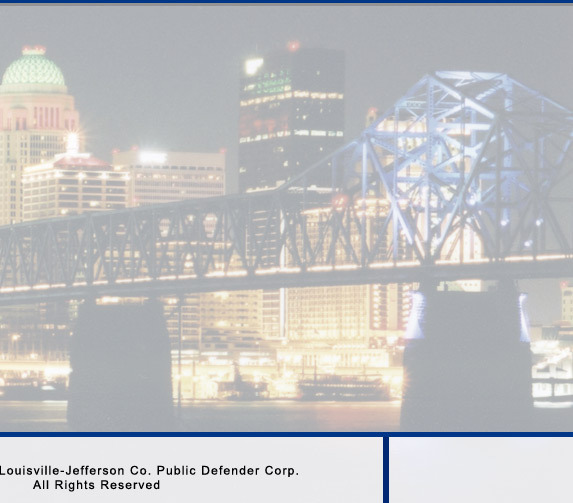 Staff members of the Louisville-Jefferson County Public Defender’s office have received numerous individual professional awards, and the office has been nationally recognized as a model program (see attached press release). Among other noteworthy office achievements, its attorneys have argued six (6) cases before the Supreme Court of the United States, including the landmark case of Batson v. Kentucky. See a full list of (1) awards received and (2) published court opinions.